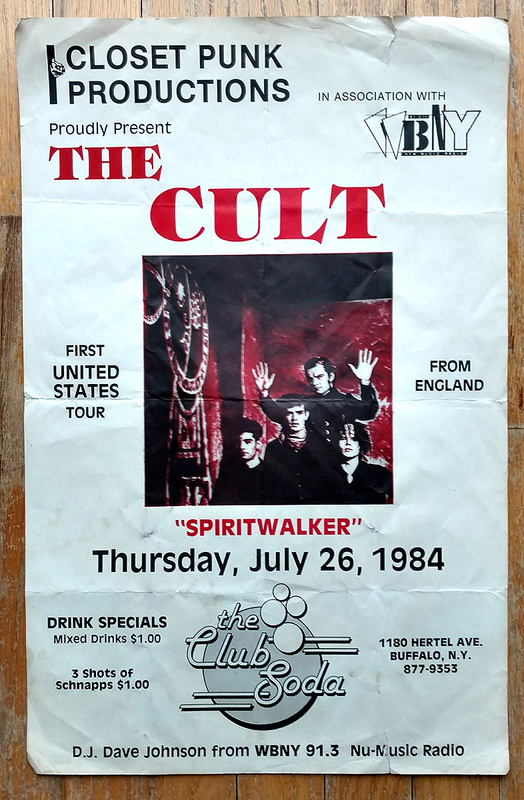 "This poster is from the very first Cult tour of America and it was a small club in Buffalo with the stage with brass railing that was sideways to the entrance door. We did the show and then stayed up most of the night and I think me and Nigel went to a reggae club. In the morning we flew very early from Buffalo to Los Angeles (via JFK airport) and were pretty much a hot mess when we arrived. I wasn't that smart as we had a show at Perkins Palace in Pasadena THAT NIGHT......totally mental..."